It was fitting that the Western States Hockey League Showcase came down to this. 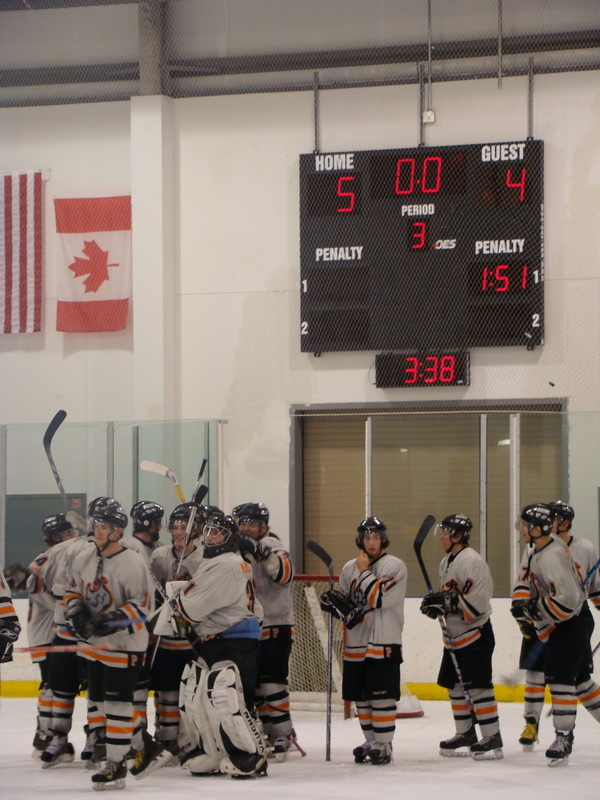 On the event’s last day in the Alamo City, the El Paso Rhinos made their stand and their statement to the rest of the league, edging the Phoenix Polar Bears, 5-4, to get their first-ever win against the defending league champions. 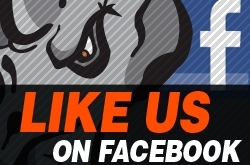 El Paso goes 3-0 in the annual get-together between the WSHL’s Mid-West Division, paced by the Rhinos who improve to 28-0-2 and 58 points, and the Western Division, led by the Polar Bears – still owners of the league’s best record at 31-2-0 and 62 points by virtue of having played three more games than El Paso. Though it is not nearly as high-flying as last season’s inaugural Rhinos team, head coach Cory Herman recruited players who are more physical. The record speaks for itself. Through 30 games last season, El Paso had already lost five games. This season’s Rhinos are on a 13-game win streak and have earned at least a point in every contest this season with no out-and-out losses thus far. The win against the champs did not come without a fight. Phoenix struck first as Derek Chubinsky beat El Paso goaltender Arthur Hollinger at 7:10 of the first period. But the Rhinos’ Eric LaBounty equalized less than 90 seconds later, assisted by Alec Sherman and Costi Hinn; the first of a three-goal run that gave El Paso a 3-1 lead by the first intermission. Zach Kohn scored twice and Arthur Hollinger stopped 18 of 20 shots as the El Paso Rhinos defeated the San Diego Surf, 5-2, in the Western States Hockey League Showcase being held in San Antonio, TX. El Paso never trailed as Kohn took a feed from Austin Balko and scored on the power play at 5:11 of the first period. Jacob Meadows broke through for San Diego, scoring at 19:01 of the first to tie the game, but Kohn again tallied for the Rhinos on the power play just 39 seconds into the second period to give El Paso the lead for good. Marcus Wilhite scored the Rhinos third power play goal of the game at 10:04, assisted by Nick Gorup and Alec Sherman, followed by an even strength goal from Kowalski at 1:29 of the third and Sean Molina’s unassisted short-handed strike at 7:06 before Michael Zenzola got one back for the Surf at 17:09. Special teams accounted for four of El Paso’s five goals, as the Rhinos went 3-for-9 on the power play. Molina’s short-handed goal is El Paso’s 11th of the season, one behind the Rhinos’ Sunday showcase opponent, the Phoenix Polar Bears. 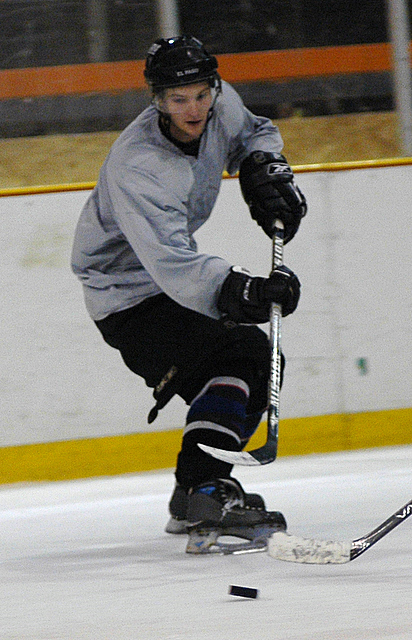 Kohn’s goals lifted him ahead of Wilhite and tied him for sixth among the league’s top scorers. Kohn has 17 goals and 33 assists for 50 points. Wilhite now has 23 goals and 26 assists for 49 points. Hayden Kowalski is right behind Kohn and Wilhite in ninth place with 25 goals and 23 assists for 48 points. Austin Balko is tied for 11th place with 20 goals and 24 assists. Hollinger picked up his 15th win and stays fourth in the league with a 2.02 goals-against average. El Paso will play the Polar Bears Sunday at 12:30 p.m. MST in one of the most highly anticipated games of the WSHL Showcase. 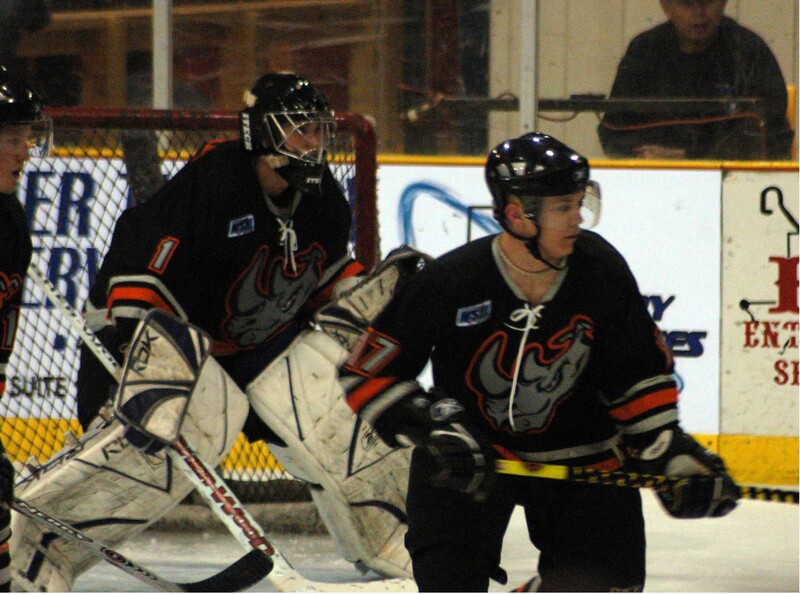 The Rhinos’ 56 points leads the WSHL’s Mid-West Division by 10, improving to 27-0-2. Phoenix leads the Western Division with a 31-1-0 mark for 62 points. Video webcasting should be available via the WSHL’s website, HYPERLINK "http://www.wshl.org/"www.wshl.org. Fans can also follow the action via HYPERLINK "http://www.pointstreak.com/"www.pointstreak.com. Just key “WSHL” into the hockey searchbar and follow the links. The El Paso Rhinos had barely stepped off the bus in San Antonio when they met the Valencia Flyers on the ice this morning. The Flyers were up by two by the time the Rhinos notched their first at 17:02 into the second period. Road weary legs forgotten, the boys from El Paso owned the third period, scoring five unanswered goals. Goaltender Anthony Natali faced 23 shots, only 3 of those coming in the final period. 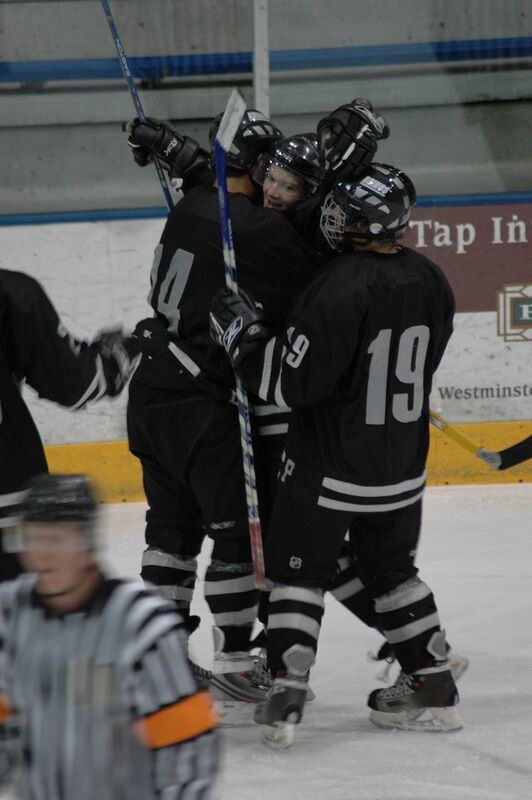 Austin Balko had 2 goals, including one shorthanded, both assisted by linemate Zach Kohn. 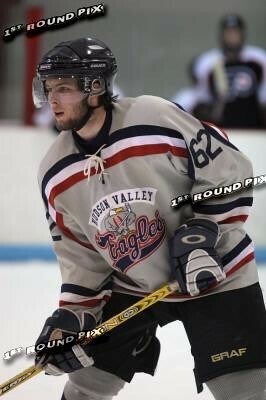 Captain Alec Sherman, defenseman Zach Hale, Bill Krueger and Eric LaBounty all added to the tally. In other showcase games, Mid West teams Dallas, Cajun and Colorado won their games while host team San Antonio dropped one to the San Diego Surf, the Rhinos match up on Saturday. Tulsa played a tightly contested game against the nation's #1 ranked Phoenix Polar Bears but the Bears pulled out a 3-1 win. El Paso Rhino players Zac MacLeod and Zac Swank are playing for the WSHL All League team, a compilation of players from every team in the league. Tomorrow's game for the Rhinos is against the San Diego Surf who soundly defeated the El Paso team in last year's showcase. The game is scheduled to start at 4:30 pm CST and may be broadcast on either www.diabloshockey.net or www.tulsarampage.com. To keep track of up to date scores go to www.pointstreak.com and enter WSHL, go to the scoreboard to see all game results. 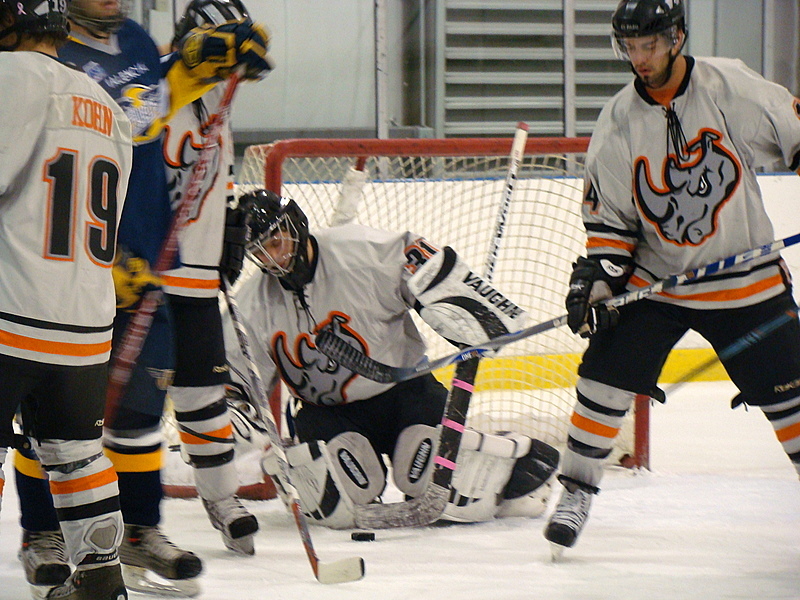 The El Paso Rhinos registered another double-digit win, shutting out the Dallas Hawks in the last home game of 2007, 10-0. 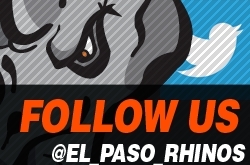 Nine different Rhinos scored goals in the win, giving El Paso a 25-0-2 record and 52 points. The Rhinos have opened up an eight-point lead on second place Tulsa in the Western States Hockey League’s Mid-West Division, and they continue to polish a young but growing legacy. Though there aren’t nearly as many individual Rhinos at the top of the Western States Hockey League’s leading scorers list as there were this time last year, last season’s team already had five losses through 27 games. El Paso has taken at least a point from every game they’ve played thus far this season. Sunday we are asking our fans to bring new Teddy Bears to the rink to throw onto the ice each time your Rhinos score. The Bears will be donated to the Child Crisis Center in memory of Joni Arnett. Joni was tragically killed this summer. Her brother is current Rhino J.R. Arnett. On a night when real men wore pink, the El Paso Rhinos earned their 50th points of the season in fine fashion, rocking the Dallas Hawks, 14-1, to improve to 24-0-2 on the season. The Rhinos auctioned off their special pink jerseys at the end of the game to benefit the Susan G. Komen Breast Cancer Foundation. As well as they did Saturday night, the players may have wanted to keep them hanging in their lockers. There were many notable statistics from the game. El Paso outshot the Hawks, 75-5. 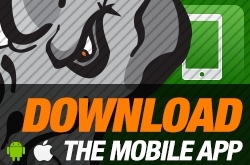 The Rhinos went 4-for-5 on the power play to improve their success rate to over 25 percent. Individually, for the second straight night Hayden Kowalski started and ended the scoring, and for the third time in four games the second-year winger out of Highlands Ranch, CO, notched a hat trick; although, Saturday night, Kowalski wasn’t alone. Marcus Wilhite also got a hat trick with two goals in the first and one in the second. What type of cancer is your Mother battling? What is it like for a child of someone with cancer, how does it affect you? What have you been able to see that is different about you in comparison with a regular 18 year kid? Have you seen yourself change a little in being the “Big Brother” to your sister and brother? What does it feel like to play in front of your Mom? What would you say to a 13 year old kid who just found out one of his parents has cancer? How is your Mother’s health these days? ---The thing that I would say is to talk to people. Don't be afraid to say what you are thinking to those people that are close to you. Just talking to people can make you feel a lot better about the situation. Stay close with friends because that is what is going to help you get through it all. When I found out, I was very scared about what was going to happen with my mom, but my friends and family are what helped me to stay "level" about the whole thing. --- It is the most amazing thing ever. 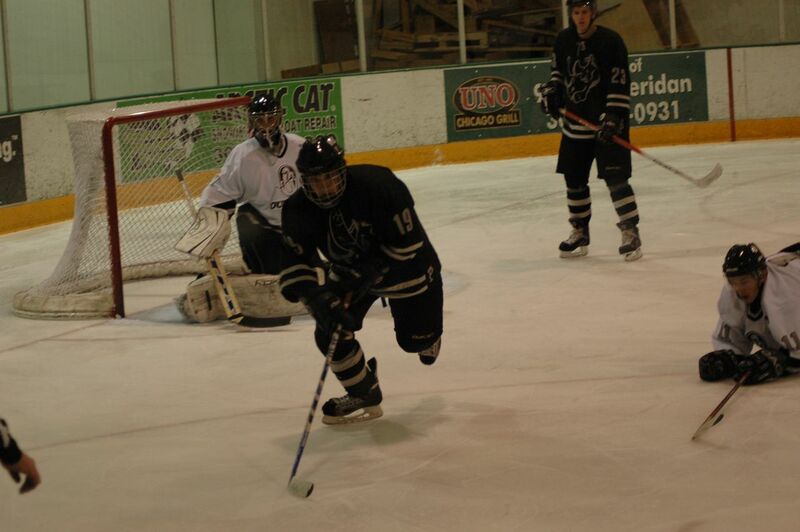 I remember my first game on the El Paso Rhinos that my mom got to see me play. I wanted so bad to play an amazing game for her. It was very emotional for me because she supports me with everything that I am doing and I know she wants me to be successful. I also happened to get my first 2 career junior points in that game in front of my mom. I know my mom wants me to succeed in hockey and that’s what drives me to go the extra mile. She is what motivates me to work harder because she is such a strong person and always has a positive attitude and fights through every obstacle that comes her way. --- Yes, I have seen myself grow-up a lot by being the "Big brother" for my sister and brother. I know that I am a big role model for my younger brother, so I want to set a good example for him. I was put in a situation where at the time I was going to be the biggest influence on my brother. My brother didn't really understand what was going on with our mom at the time so I had to be there to help him understand what was going on. I would help him with his homework, play with him, and also play the "father" role for him since my dad was with my mom through all of this. --- Honestly I believe that I have matured a lot as a person because of everything that has happened. I have a whole new outlook on life because of everything that happened to my mom. I try to take every opportunity that I am given because you never know when it can be taken away from you. The big difference I believe though is my appreciation for family and friends. Most 18 year olds are at that point in their life when they just want to go off to college and get out of the house to get away from their parents. When my mom was sick I would have given anything to be with her and now I cherish all the time I get to spend with her. ---It was very tough because I didn't know what to expect. When my mom had to go to California to the City of Hope cancer center, my dad went with her and I became the man of the house. I was put in a situation where I was forced to mature and grow as a person, in order to help my little brother and be there for my older sister. It affected me a lot mentally because I woke up every morning not knowing if my mom would make it through the day. It was very hard to focus on things such as school and hockey, but I know my mom wanted me to be successful in those things. --- She was battling cervical cancer when we found out she had less than a month to live. The doctors told my family and I that my mom would never make it and that we should be prepared for her to pass away. 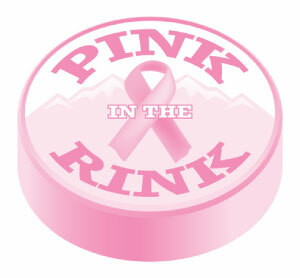 This weekend the El Paso Rhinos will be raising money for the Susan G. Komen For The Cure foundation. On Saturday proceeds from walk up ticket sales, raffles, skate with the Rhinos after the game and the jersey auction will be donated to help their fight against breast cancer. The Rhinos will be wearing one-of-a-kind pink jerseys that will be auctioned off after the game. We encourage everyone who has been touched by breast cancer to come out in support of the cause. We'd like to see our fans, friends and families cheering on the team in pink by wearing pink! On Sunday we are asking our fans to bring new Teddy Bears to the rink to throw onto the ice each time your Rhinos score. The Bears will be donated to the Child Crisis Center in honor of Joni Arnett. 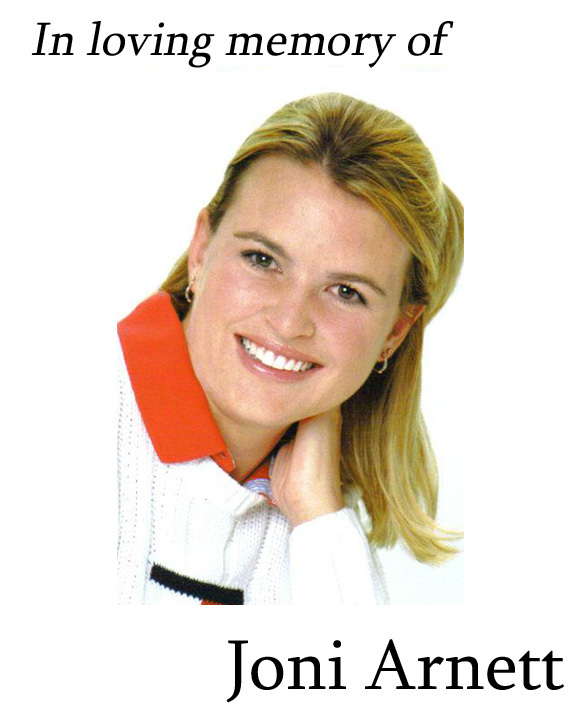 Joni was tragically killed this summer, Her brother is current Rhino J.R. Arnett. The Arnett's are keeping her memory alive by continuing to help the children of the El Paso Child Crisis Center. Other types of donations will be accepted, the Center always needs diapers, formula, toothbrushes, lotion, toothpaste, baby blankets etc. To learn more about the El Pas Child Crisis Center please visit their website at www.childcrisiselp.org. games on the world's leading broadband broadcaster. could watch every game and cheer us on." individual basis for $6 (US). for Business Operations and Marketing. international television and pay-per-view broadcasting systems. global direct to home, mobile and television broadcasting. El Paso took all six points from its three games this weekend, improving to 22-0-2 with 46 points to keep its lead in the Mid-West Division, beating the San Antonio Diablos (17-10-3, 37 points, third place), 7-4, at the Sierra Providence Events Center Sunday. Arthur Hollinger picked up his 13th win between the pipes as El Paso ’s defense was notably better than in the Rhinos two prior wins in the series. El Paso had to erase a two-goal, then a three-goal deficit Friday and Saturday, respectively. But the Rhinos never trailed Sunday, grabbing their first early lead of the series on Costi Hinn’s seeing-eye shot at 3:30 of the first period. Hayden Kowalski scored the hat trick with a goal in each period and, for the second straight game, the El Paso Rhinos found a way back to win, as the Rhinos came from behind to beat the San Antonio Diablos, 6-4, staying ahead of Tulsa in the Mid-West Division. The Rampage (20-7-2, 42 points) are nipping at El Paso ’s heels, but the Rhinos (21-0-2, 44 points) have six games in hand. As they did Friday, the Diablos grabbed the initial lead. Edgar Soto beat El Paso goaltender Arthur Hollinger at 6:28 of the first, unassisted, to open the scoring. Kowalski equalized at 11:11, assisted by Austin Balko and Zach Kohn, and this turned into a theme – pieces of the line would account for all six Rhinos goals on the evening. However, Soto grabbed the lead for San Antonio at 11:48 of the first period, followed by Malcolm Richards just 1:21 into the second, followed by Peter Cardasis on the power play at 8:05 of the second, and for the first time this season, the Rhinos trailed their opponents by three goals, 4-1. Again, though, El Paso answered the challenge, doing so in grand fashion. 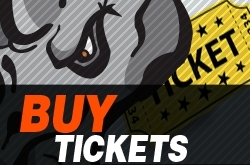 The El Paso Rhinos know the rest of the Western States Hockey League is gunning for them. 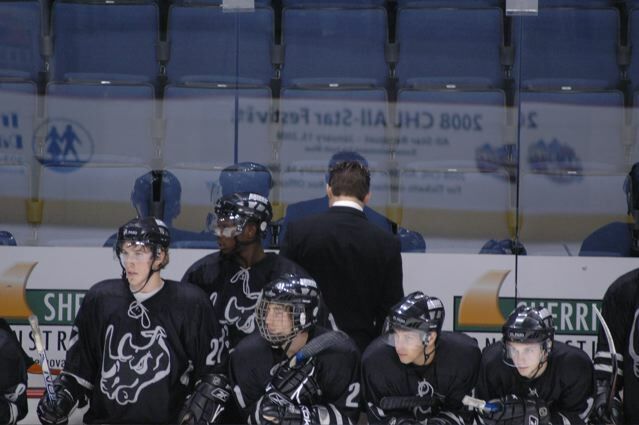 Upstarts in just their second season, head coach Cory Herman’s Rhinos not only won the Mid-West Division title in the team’s first year, they went all the way to the Silver Cup tournament – Junior B hockey’s national championship – assuring the team of being the gunfighter everyone wanted to challenge when the league moved up to Junior A this season. Sure enough, the San Antonio Diablos have come to El Paso looking to challenge the Mid-West Division’s top gun. Seeing its first action in three weeks, El Paso was a little slow on the draw and off on its aim facing the Diablos. Fortunately for the Rhinos, they got six shots – and six goals – as goaltender Arthur Hollinger finally nailed the coffin shut in game one after Marcus Wilhite’s goal in shootout started the Diablos on their journey to Boot Hill. With the Thanksgiving Break behind them the El Paso Rhinos are back at the rink and ready to meet the San Antonio Diablos this weekend. The Diablos are in third place in the Mid West division, only 2 points behind second place Tulsa. Three San Antonio players are ranked amongst the top 10 scoring leaders in the WSHL but the Rhinos have six games in hand over the Diablo team. Tickets are still available for this home series. Eight different Rhinos scored and El Paso notched four power play goals en route to a 10-0 shutout of the Lafayette Cajun Catahoulas. The Rhinos outshot the visitors, 71-11, in a game that was never in doubt for the hosts. Hayden Kowalski started the scoring just 1:52 into the game, ripping his wrister top shelf past Lafayette goaltender Brenden Parkyn. Eric LaBounty made it 2-0 on a pass from Kevin Coyne at 6:36 of the first, followed by Bill Krueger’s first power play strike on a pass from Marcus Wilhite and Gabriel Hernandez at 10:37. The second period got no better for the Cajun Catahoulas, as Zach Goller started the scoring at 3:22 on passes from Jacob Burch and Bo Hernandez. The El Paso Rhinos ran their league-best record to 18-0-2, upending the Lafayette Cajun Catahoulas, 3-2, in the Sierra Providence Events Center Saturday night. Marcus Wilhite scored one goal and assisted on another to earn First Star of the Game honors, though Lafayette goaltender Brenden Parkyn earned Third Star, saving 53 of 56 Rhinos shots. The home side could not bust through Parkyn’s defense, and the Catahoulas played some solid “D” of their own, challenging the Rhinos through the latter stages of the game. But El Paso would not be denied, as Wilhite started the scoring just 3:36 into the first period, taking a feed from Nick Gorup and beating Parkyn low. Austin Balko and Zach Hale scored two goals each and the El Paso Rhinos ran their record to 17-0-2 with a 9-3 win over the Lafayette Cajun Catahoulas at the Sierra Providence Events Center Friday night. A solid crowd was on hand to watch the strong performance turned in by the home team, taking care of business against the last place franchise in the Mid-West Division, who had just stepped off the bus after an 18-hour bus trip from Lafayette, LA. The El Paso Rhinos made it two-of-three in Colorado Sunday afternoon, outscoring the Outlaws in the second and third periods for a 5-3 win to wrap the weekend series in suburban Denver . Colorado scored first with just 24 seconds left in the first period as Braxton Green beat El Paso goaltender Anthony Natali . But the Rhinos rebounded in the second period, as Marcus Wilhite took a feed from Rashad Harris at 3:54 and put it home to tie, followed by Austin Balko who skated through the Colorado zone and beat Outlaws goalie Alex Migdalski at 18:20. Colorado scored twice to open the third period as Jason Lee and Alex Kendall gave the hosts a 3-2 lead, putting the visitor’s backs against the wall as they did in the Outlaws’ 4-3 shootout win the previous afternoon. But the final half of the final frame was all El Paso . Mid-West Division champions, 4-3, in a wild Saturday afternoon shootout in suburban Denver, CO. The Rhinos and Outlaws went to nine frames in the shootout before the game was decided. Though this is El Paso's second setback in three games, the Rhinos (15-0-2, 32 points) have still earned at least a point in every game they've played this season. 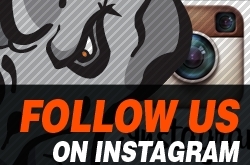 The El Paso Rhinos got past the hangover of their first loss of the season, starting on another win streak with a victory in suburban Denver, CO , outdueling the Outlaws, 6-2, Friday night. Colorado got on the board first just 1:53 into the game as Braxton Green beat goalie Arthur Hollinger. But the Rhinos responded later in the period to take the lead with two goals just 31 seconds apart, as El Paso hit their hosts with a Zach attack; Zach Goller at 4:33 and Zach Kohn on the power play at 5:04. Tulsa goaltender Mike Davis stopped 51 of 52 El Paso shots and stoned the Rhinos in five of six shootout frames to give the Rampage a full two points on the road and a 2-1 win. Rhinos did salvage a point by taking the game to shootout. Arthur Hollinger stopped 29 of 30 Tulsa shots and once again Austin Balko scored the game-winning goal as the El Paso Rhinos ran their record to 14-0-0, topping the Rampage, 3-1. El Paso is Junior A, Tier III's second-ranked team nationally after their incredible start. The El Paso Rhinos used strong defense and timely offense to remain the only undefeated team in the Western States Hockey League, defeating the Tulsa Rampage in their first home game of the season, 2-1. In front of 998 raucous fans, the Rhinos unveiled their Mid-West Championship and Junior Nationals banner, earned from an inaugural season that passed all expectations, except, perhaps, the team's own. We unveil the Championship Banners and Sparta Frontman Jim Ward drops the puck!!! The Rhinos celebrate their 2007-2008 home opener by unveiling our Mid West Champions and National Tournament banners. 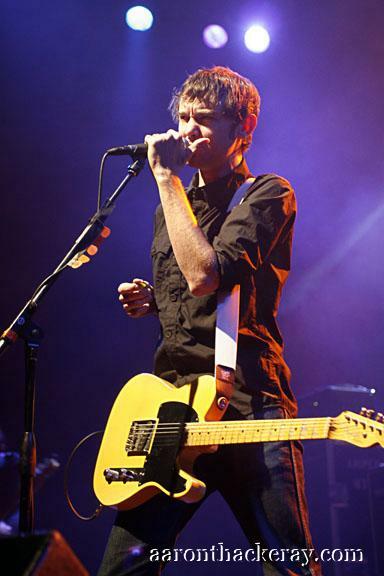 In another special treat Jim Ward of the rock band Sparta will be the special guest puck dropper! A second straight 60-plus shot performance from El Paso helped the Rhinos to an 11-2 win over the Dallas Hawks in Dallas, as the visitors remain undefeated at 12-0-0. El Paso had 68 shots in Saturday’s 10-3 win and 59 in Friday’s 7-2 victory. Also for the second straight game the Rhinos had four power play goals and, from the third period Friday night through Sunday, did not allow their hosts a shot total into double figures – a span of two hours and 20 minutes. Also, as they did Saturday night, El Paso spread the puck around. 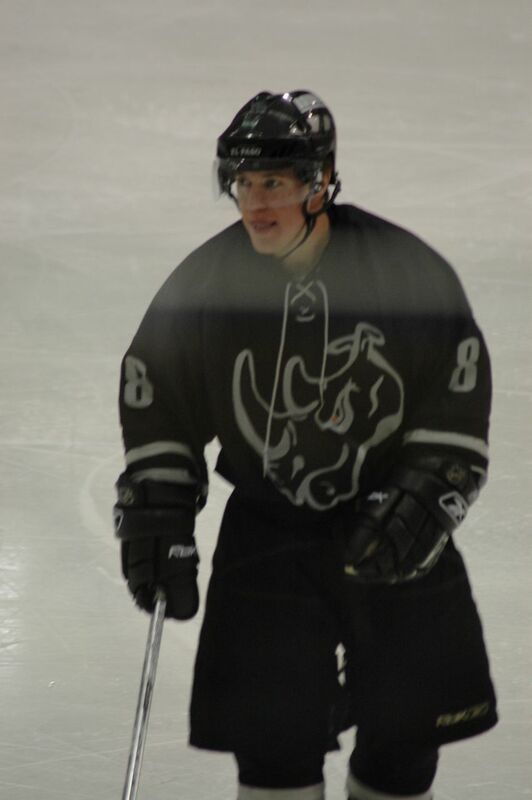 Nine different Rhinos scored Saturday – 10 players scored Sunday and only Zach Kohn scored more than once. 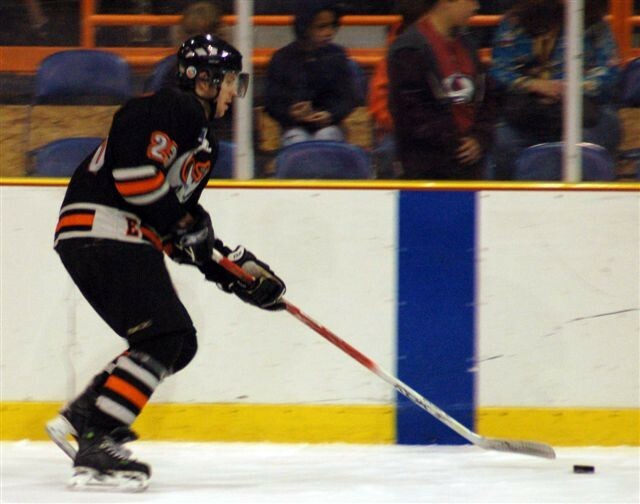 The El Paso Rhinos followed a 7-2 Friday night win in Dallas TX, with even more offense Saturday, overpowering the Dallas Hawks with 10 goals on an amazing 68 shots and staying undefeated at 11-0-0. The El Paso Rhinos followed a 7-2 Friday night win in Dallas, TX, with even more offense Saturday, overpowering the Dallas Hawks with 10 goals on an amazing 68 shots and staying undefeated at 11-0-0. Despite the 10 goals, El Pasoʼs Kevin Coyne was the only Rhino to score more than one goal. Coyneʼs markers at 18:58 of the first period and at 4:55 of the second period were his second and third of the season. Hayden Kowalski notched his first hat trick of the season and Arthur Hollinger stopped 30 of 31 shots as the El Paso Rhinos rolled over the Colorado Outlaws 6-1, in Westminster, CO. to stay undefeated at 8-0-0. Playing their first game against the WSHL's Mid West expansion team, the Colorado Outlaws, the Rhinos struggled with the mile high altitude. In their first two home series the Outlaws beat both San Antonio and Tulsa in two of the three games. Going into this weekend Coach Herman said "We can't make the mistake of underestimating this new team." 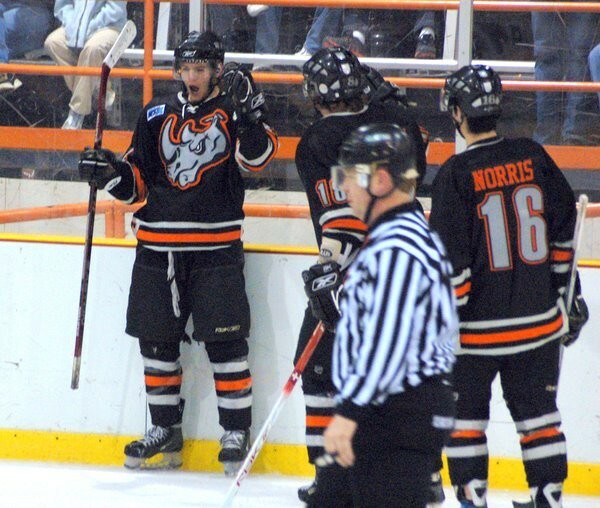 The El Paso Rhinos turned in another sterling performance on Sunday with a 7-1 win over the Colorado Outlaws, and remain undefeated one month into the 2007-08 season. With last season's leading scorer, Marcus Wilhite continuing his points streak, and backup goaltender Anthony Natali stopping 32 of 33 Colorado shots, the El Paso Rhinos are starting to look like the team to beat. Cycling hard in the final game of their three-game series up north, El Paso proved too much to handle for the outmanned Outlaws, outshooting the home team, 56-33. The El Paso Rhinos lead the Western States Hockey League after their second straight six-point weekend, taking the full number of points out of Alamo City after a 5-4 shootout win over the San Antonio Diablos Sunday afternoon. 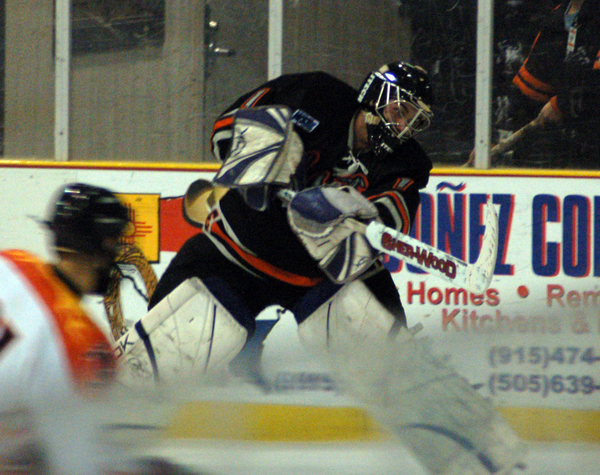 The El Paso Rhinos ended their opening weekend with an overtime win. Finishing the series with a perfect 3-0 against last season's division finalist the Tulsa Rampage. 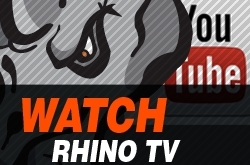 Rhinos off to a 2 -0 start. After winning the Mid-West Division in the Western States Hockey League and making it all the way to junior nationals, the El Paso Rhinos have a tough task if they want to top their inaugural season. They are off to a good start, winning their first two games against the Tulsa Rampage in Tulsa, OK. The El Paso Rhinos boarded the team bus last night on their way to Tulsa for their season opener. Friday's game is to start at 5:45pm CST and can be viewed and listened to through the Tulsa website; www.tulsarampage.com. 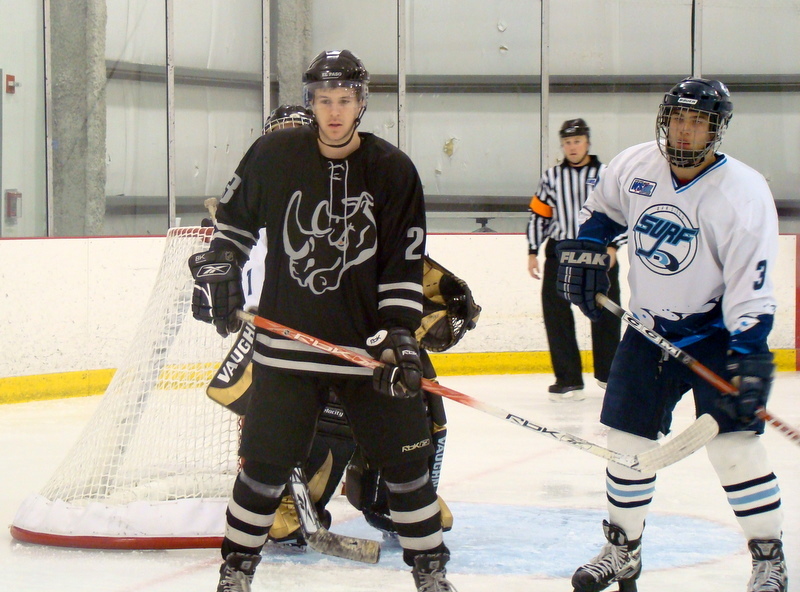 The El Paso Rhinos main camp is to be held this weekend, September 7-9th. Last season's youngest Rhino, Hayden Kowalski, will be back in El Paso as a veteran this year. El Paso Rhinos will play the 2007-08 season as a Junior A team! As of 12:02 am today, July 17th, it became official, USA hockey granted the Western States Hockey League Junior A status. Your El Paso Rhinos will be playing this season as a Junior A team. This is very exciting for the players and of course you our fans! As we get closer to final camp many of our "veterans" are ensuring their spots on the team. Costi Hinn, Nick Gorup and Zach Goller will all be returning this season. 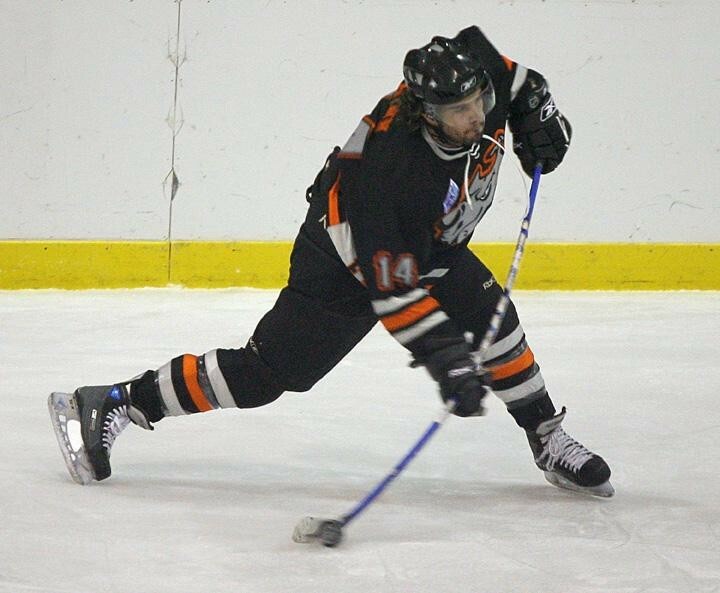 Rhinos Leading Scorer Signs For Season Two! 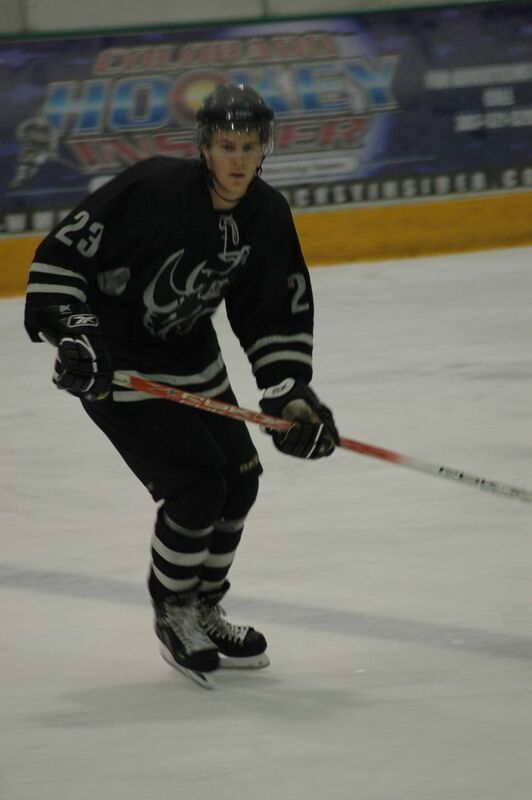 Marcus Wilhite who ended the 2006-07 regular season with 108 points will return to play for the El Paso Rhinos again this season. 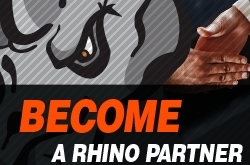 Sherman ready to lead Rhinos into their second season. Ron White, the WSHL Commissioner, releases his annual report. 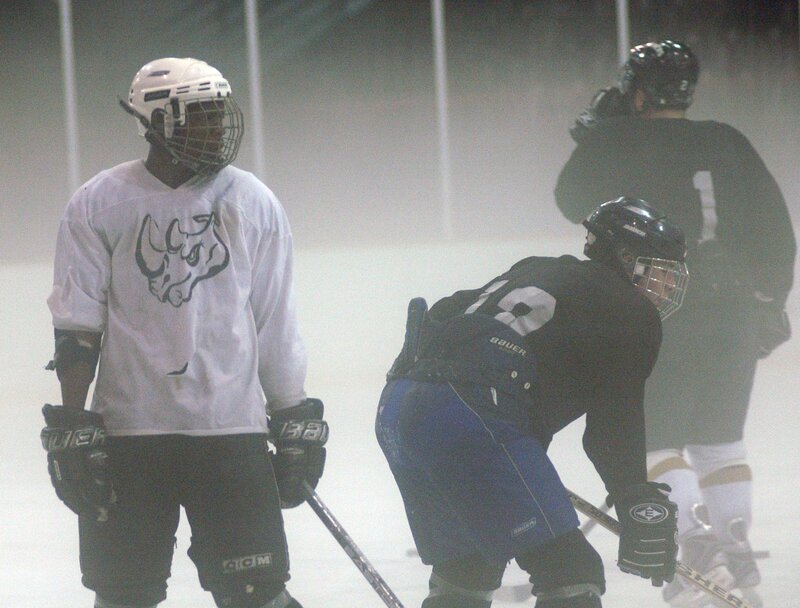 The last weekend in June saw the rink filled with players all vying for spots on the El Paso Rhinos team. For three days the young men were run through drills and scrimmages by Head Coach Cory Herman and assisted by Tom Herman and Dave Herman. Having proven they are a team to be reckoned with after their first season's phenomenal performance, the number and quality of players was impressive. By the end of the weekend we had several new Rhinos, all very enthusiastic about joining the team.